Hello and welcome to the 13th issue of This Week in Amethyst, a blog bringing to you the latest changes regarding Amethyst, a data-driven game engine written in Rust. A fourth chapter has been written for our Pong tutorial by CBenoit. High quality documentation is very important for our project, so thank you for your work! There are still a few chapters missing unfortunately. If you're interested to help, we'd be very happy about contributions, whether it's just reviewing the work of others or writing a chapter on your own. Please contact us on Discord/#documentation or by commenting on the GitHub issue. Note that there's already a PR working on chapter 5 here, so make sure to coordinate your work with that. 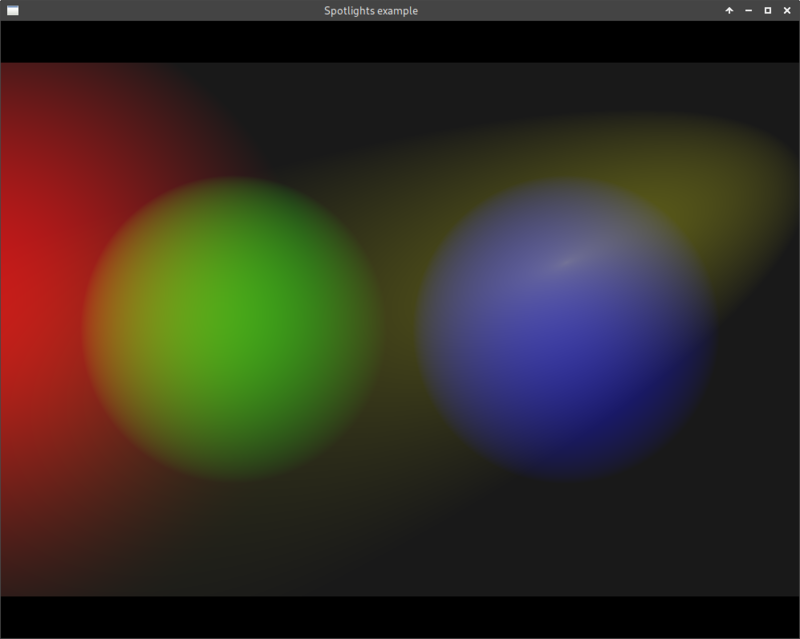 Thanks to karroffel Amethyst got support for directional lights and spot lights in the PBM shader! See the directional light and the spot light PRs. This time it's a whole team's work we want to present here - the Networking Team. Amethyst didn’t have any networking until version 0.9.0 and we only have a basic implementation right now which will be replaced. The networking team is planning to make the new API available in the 0.10.0 release but because game networking is a complex topic that spans many components, we have broken it down into smaller pieces. Note: The following assumes some knowledge about networking sockets. We recommend you read the Wikipedia article about it in case you're not familiar with sockets. This will be our semi-reliable UDP-based protocol. We are planning to release its first version around November 9th, 2018. Choosing the ordering, reliability, and encryption for your packets. Fragmentation of packets if needed. Monitor connections for Connect, Disconnect and Timeout events. Pass events and associated information up to the amethyst_network crate via mpsc channels using the Event abstraction.. Many of you may wonder why we did not use TCP. This is a complex topic, and not one we can cover in this post. In general, the reliability and ordering guarantees TCP provides cause severe latency spikes and other performance degradations. If you are interested in this topic, you can read more about that here or in our book. Glenn Fiedler (@gafferongames) describes in a series of articles how game networking should be done. Our work has been to create a Rust version of his library. Currently, there are already C/C++ based implementations but there is no finished Rust implementation. When we began implementing networking, we could not find an existing crate that met our needs. There are crates that provide protocols built on UDP, but they are oriented towards the needs of non-game applications. Rust is an excellent language for fast, reliable network programming because of its safety and speed. In particular, the lack of garbage collection and ability to write very low level code allows for a level of performance normally seen only in C or C++. The work we’ve done on Laminar is available for anyone to use, and we hope others in the gaming industry will find it useful. This crate will be part of the Amethyst game engine and provides the API and functionality which application developers will use to develop multiplayer games. Automatic syncing of entity state between hosts. Ensuring integrity of game logic. Providing easy to use systems and components to support networking. You can see a tracking issue for all the progress here. Currently there is a PR about allowing you to choose different kinds of reliabilities. In addition to the functionality, we are including a comprehensive suite of unit-, integration-, and scenario-tests. This will aid in preventing regressions and bugs. Two big RFCs have been added this week. They are both very general and depend on all the valuable input we get from the community. Thank you for all the help! Jojolepro wrote up a really big issue listing all kinds of use cases for UI. The current UI implementation of Amethyst is very basic and only suitable for simple interfaces. This RFC is still very broad; there are a bunch of topics like layout managers, high-level API and UI elements discussed there, so make sure to weigh in if you're interested in those things. You can find it here. Scripting, usually associated with programming using a dynamic language to write logic, is the typical way to create games with modern engines. Amethyst does not yet have this functionality, but we're planning on something big. The goal is to create an abstract layer that allows reasonably easy addition of more scripting languages. This would allow us to address a much bigger audience because most languages could simply be added as an additional backend. For that, Moxinilian wrote an RFC you can see here. Feedback is very welcome, as well as suggesting more questions that the document should answer.